It is obvious through their dedication and hard work that the teachers care for each individual student. 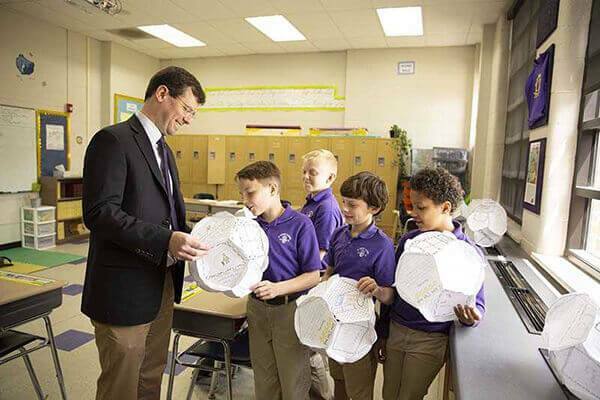 "The teachers at St. Agnes are intentional about keeping the students focused and engaged every single day. Students are encouraged to engage, ask questions, and challenge themselves and also their classmates. 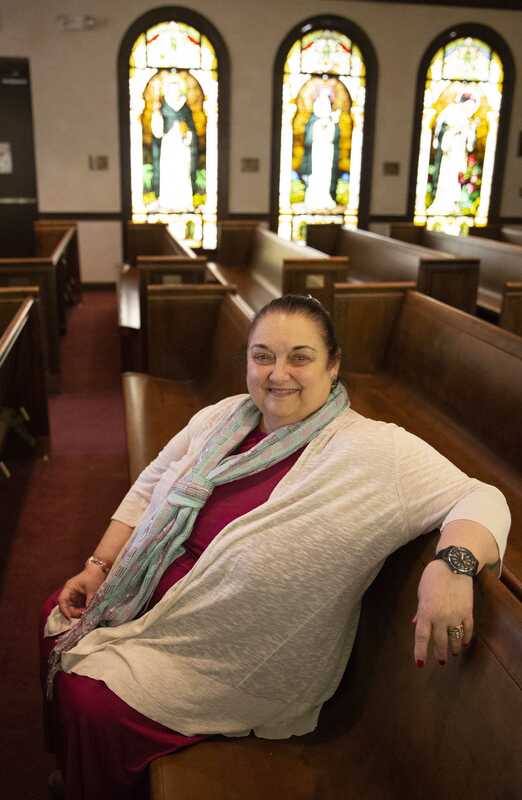 The classrooms are just small enough to get that one-on-one, student to teacher connection." 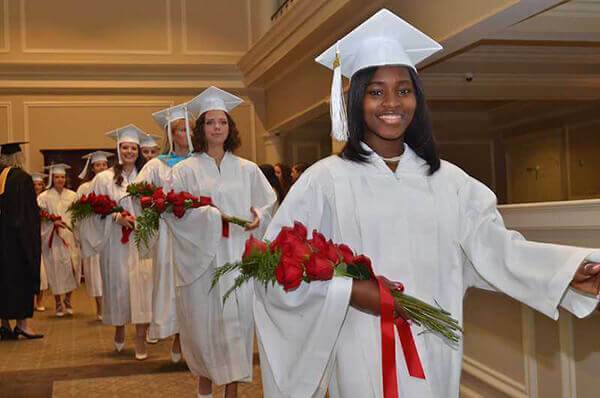 A St. Agnes education is as enjoyable as it is challenging, and our motivated students are well prepared for college, varied careers, and all aspects of life. 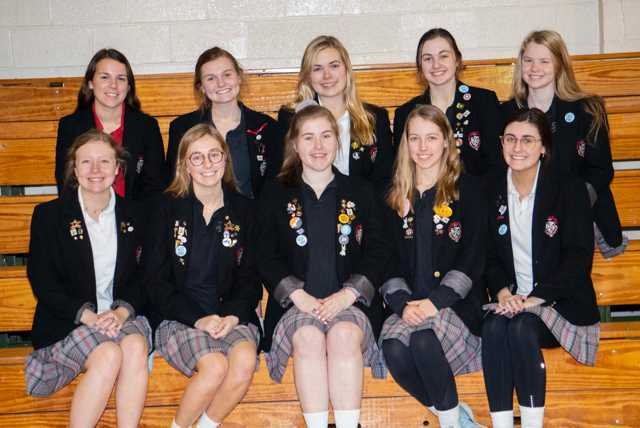 In the Upper School at St. Agnes students choose from a diverse course offering that includes a wide variety of Honor classes and AP classes. College and career counseling begin freshman year. One hundred percent of our graduating class attends college. They are accepted at colleges and universities throughout the country, earning numerous scholarships as well as early entry into pre-professional programs and honors colleges. 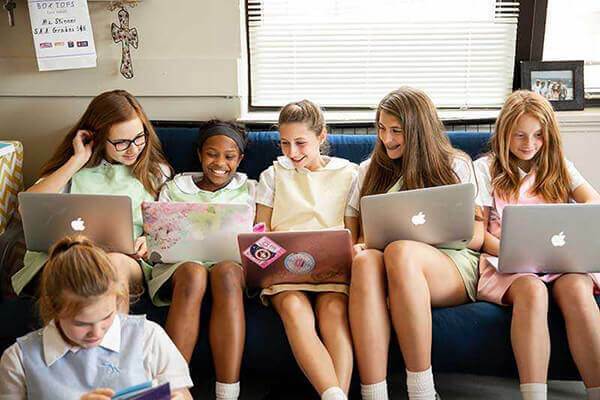 At St. Agnes our English curriculum nurtures girls' sense of wonder, awakens their appreciation for literature's expression of the human experience, and builds their confidence in their abilities. Our students learn how to read with both a critical eye and compassionate heart and how to communicate effectively verbally and through a wide range of written forms. 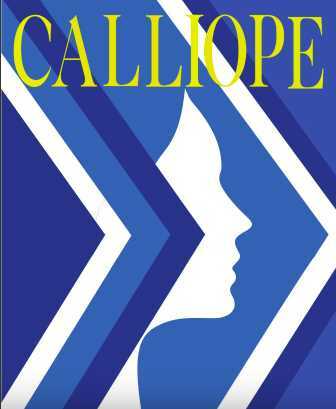 The college preparatory curriculum of the Upper School English Department incorporates literary surveys, in-depth analysis of particular authors/works/classics, broad-based composition instruction, standardized test preparation, and research skill development. Survey courses in American Literature, British Literature, and World Literature form the core of study. Honors level courses are available for each grade level, with Advanced Placement English open to seniors who meet the requirements. The department offers Journalism/Yearbook as an elective course. Classes are highlighted by skyping with authors, taking field trips, creating video book reviews, filming and editing movie trailers, and many more collaborative projects that make the coursework come alive. The Mathematics program at SAA is designed to build each student’s analytical abilities. Students develop a creative, analytical problem-solving ability and the confidence to tackle hard problems. Through classes in the Math Department, students connect abstract theory with real-world application. Students are expected to work in a cooperative environment, to seek creative solutions, and to communicate ideas clearly and accurately. The Upper School Mathematics Department offers courses in Algebra, Geometry, PreCalculus, Trigonometry, and Calculus. Classes are available at college preparatory, honors, and Advanced Placement levels. The department offers a Math Lab to help students in all math classes by providing extra support. The St. Agnes Academy Fine Arts Department is dedicated to developing our students’ natural talents through study, work, and performance. 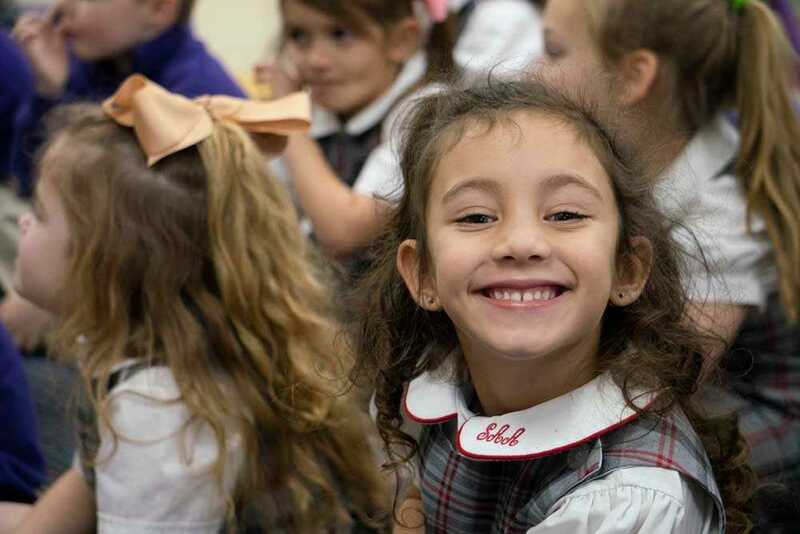 We believe that every student has a gift to give, and it is the responsibility of those who teach the student to help her discover and channel her gifts in an effective way. The Upper School Fine Arts Department presents courses in Visual Art, Drama, and Music. The entire school community benefits from the remarkable talents of our students and their teachers through student-produced fine arts events, exhibits, and drama productions. Students in the drama department star in school plays, build sets, work in sound and lighting, and have an active role in all aspects of theatre production. The department offers three drama courses: Drama 1 - Oral Communications, is used to further the students’ public speaking abilities; Drama 2 and 3 allow students to progress from a basic introduction to all things theatrical to advanced script writing, character development, and quality performance. Vocal Music 1 introduces singing techniques and musical styles, and it culminates in an ensemble concert. Vocal Music 2 extends training and instruction in these skills and topics and also leads to a concert performance. 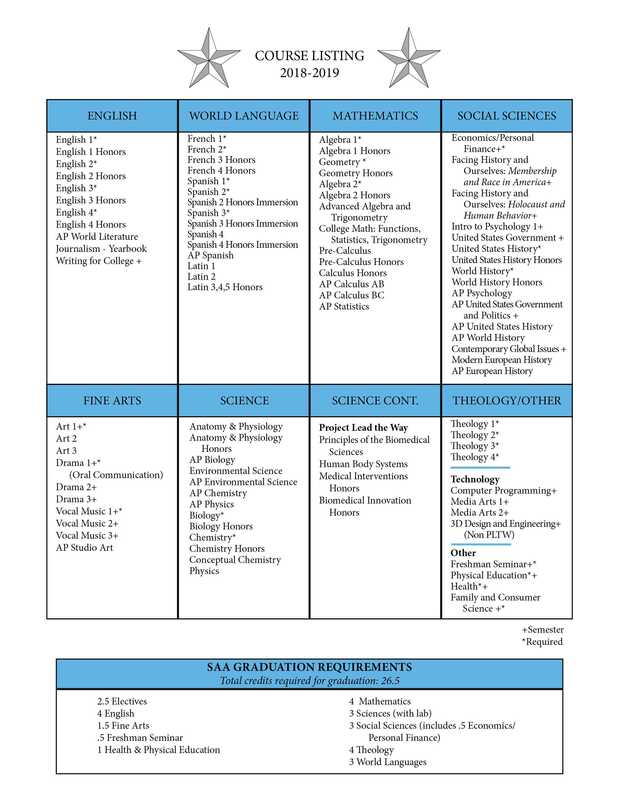 In the SAA Upper School, Science Department students are challenged and encouraged to pursue their special interests with a variety of courses at all levels. In addition to the core curriculum of Physics, Biology, and Chemistry, students can take Advanced Placement courses in Biology, Chemistry, Anatomy and Physiology, and Environmental Science. Our rigorous and relevant four-course Project Lead The Way Biomedical Science sequence allows students to investigate the roles of biomedical professionals as they study the concepts of human medicine, physiology, genetics, microbiology, and public health. Students become CSI’s as they engage in activities like investigating the death of a fictional person to learn content in the context of real-world cases. They examine the structures and interactions of human body systems and explore the prevention, diagnosis, and treatment of disease, all while working collaboratively to understand and design solutions to the most pressing health challenges of today and the future. The Upper School Health and Physical Education Department seek to instill in each student a lifelong commitment to individual wellness and fitness and to equip her with the knowledge and skills to make informed decisions about her well being. Health and Physical Education are required courses, and Family and Consumer Science is an elective course in the department. 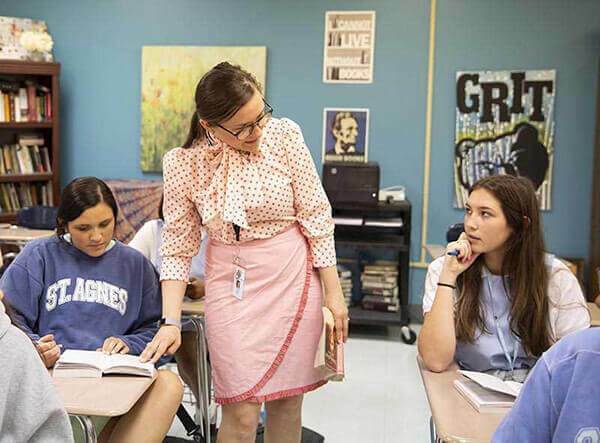 History and social science classes at St. Agnes cultivate lively curiosity about the past so that students may better understand the present. Girls develop an appreciation for the power of the individual in history and learn how to exercise responsible citizenship. The Upper School Social Sciences Department prepares students for college-level courses while emphasizing citizenship responsibilities and cultural/global awareness. Required courses include American History and World History, offered at the college preparatory, honors, and Advanced Placement levels, as well as Economics/Personal Finance. Electives include Contemporary Global Issues, Facing History and Ourselves, Government, and Psychology. Students have the opportunity to gain skills in leadership and communication through participation in activities including Mock Trial, Model UN, and Youth in Government. The Upper School World Languages Department prepares students for college-level language study while raising cultural/global awareness. Each student is encouraged to discover and develop her unique strengths as she gains mastery of a new language and explores a new culture. Courses in Spanish, French, and Latin are offered for all four years, and completion of three years of the same language is required for graduation. Spanish and French courses emphasize listening and speaking skills while Latin courses focus on translation. Honors courses in all three languages are offered, as is Advanced Placement Spanish. SAA participates in the Tennessee Hope Scholarship Dual Enrollment Grant Program with Christian Brothers University to grant college credit to students in levels 3 and /or 4 of French and Spanish. Our Cultural Exchange Program with the Colegio La Salle School in Costa Rica provides a profoundly enriching experience for our young women. What this student-exchange experience offers in academic opportunity is only exceeded by the profound relationships and bonds formed among the students, friends, families, and schools. An annual trip to Europe provides students exposure to the museums and culture of France, Italy, and the United Kingdom. Elective courses in the Upper School Technology Department allow students to apply technology as a tool for solving problems and for communicating effectively. Courses spark creativity and build the project-based learning skills of cooperation and teamwork. Topics and skills include computer programming, media editing, visual animation, and 3D design. The Upper School Theology Department welcomes students of all faith traditions. Course material aligns with the United States Conference of Catholic Bishops and includes topics such as Scripture, Sacraments, Vocations, Social Justice, and Church History. Advanced Placement courses are regularly offered in Biology, Calculus AB, Calculus BC, Chemistry, Environmental Science, Physics, Psychology, Spanish, Statistics, Studio Art, United States Government & Politics, United States History, World History, and World Literature and Composition. 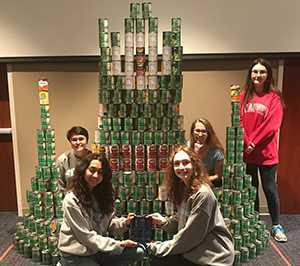 SAA Soccer Player Signs Letter of I..
St. Agnes Canstruction Team Wins T..
SAA Junior Rachel Heck Competes in ..
Start Your Bidding! Online Auction .. The St. Agnes Academy Stars are headed to the state tournament. 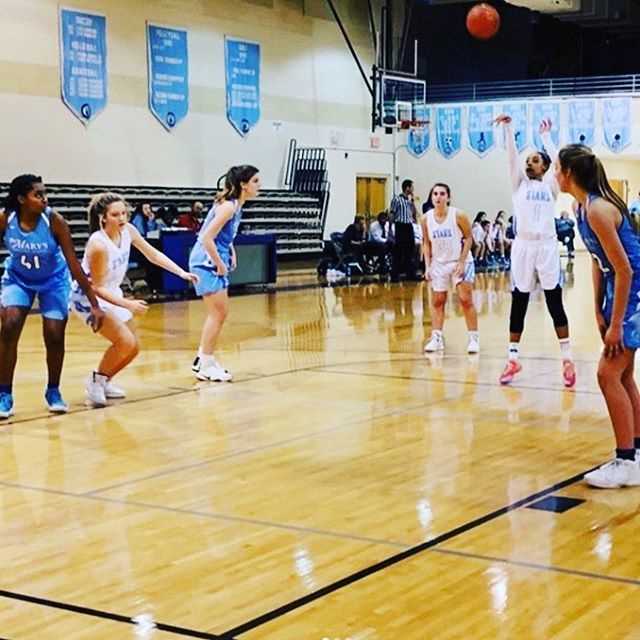 The basketball team defeated St. Mary's 38-34 in the round of 16 to advance to the quarterfinal round. St. Agnes artists were honored for their talents in the annual Mid-South Scholastic Art Awards. St. Agnes Academy Upper School students received 17 awards including multiple Gold and Silver Keys. 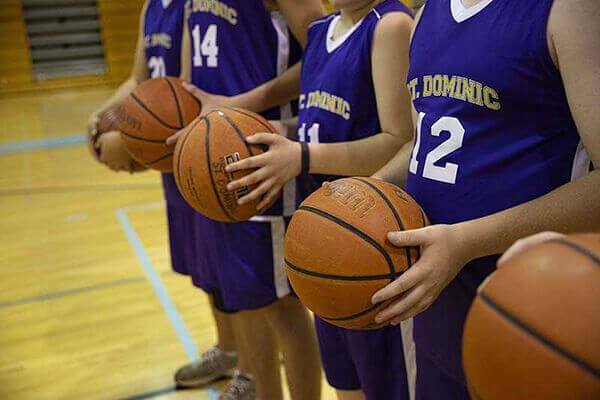 The St. Agnes team competed against students from 17 area high schools.